Single post stand with "U" base design. Height adjustable Tray with lock. A single-post stand with "U" base design ensures both support and versatility for this Mayo Instrument stand by Drive Medical. The tray height adjusts from 32 1/8" to 50" and includes a lock for security. 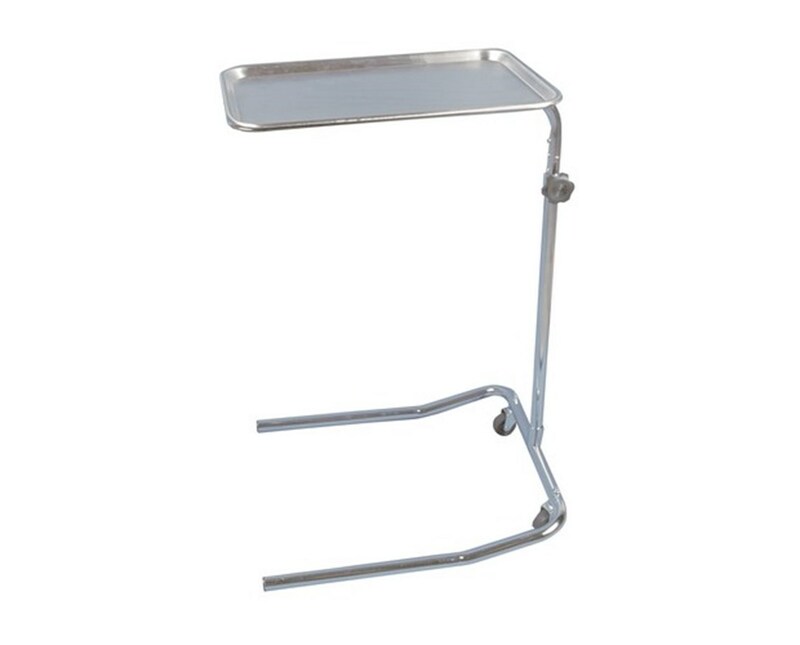 No matter what height it sits, the stand supports a removable stainless steel tray that measures a roomy 19" x 12 5/8". Two, 3" casters provide additional mobility. Single post stand with "U" base design provides support and versatility. 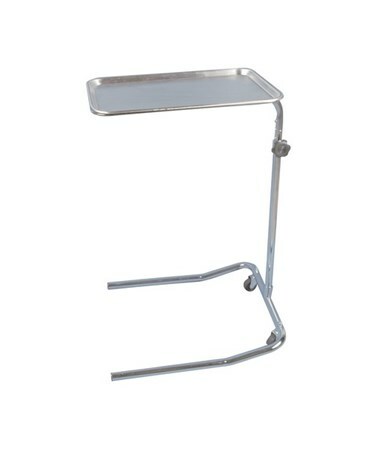 Removable stainless steel tray measures 19" x 12 5/8" . Tray height adjusts from 32 1/8" to 50" with lock. Tray Dimensions 19" x 12 5/8"
Base Dimensions 22" x 18.5"